2 Small Moving Boxes: Dimensions: 16 x 10 x 10 - Use the small size for packing smaller or heavy items like photo albums, CDs, books, dishes, glassware, etc. 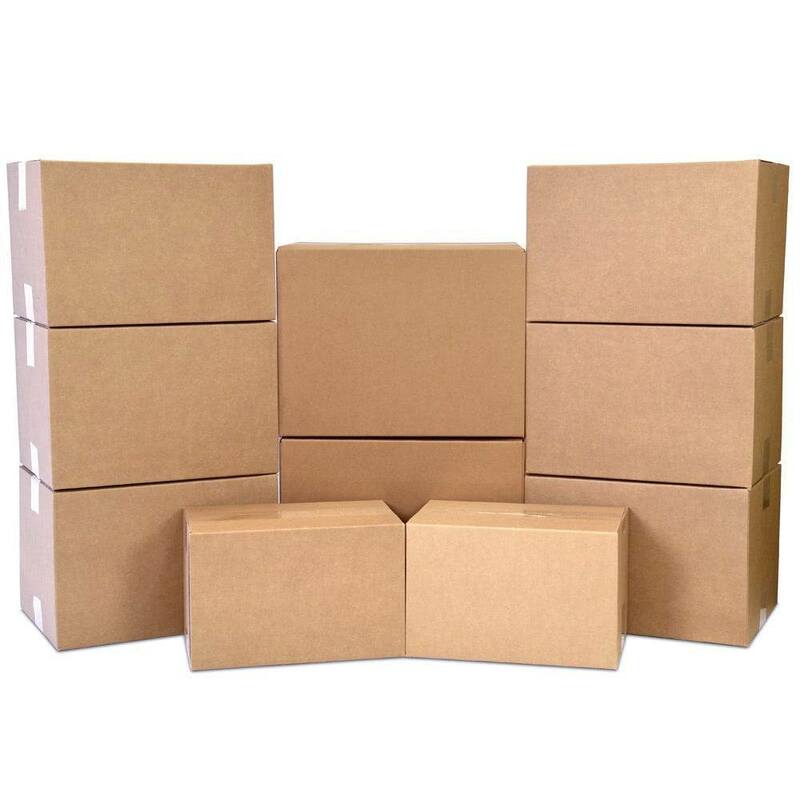 6 Medium Moving Boxes: Dimensions: 18 x 14 x 12 - Use the medium size for packing mid-weight items like kitchen appliances, toys, or shoes. 2 Large Moving Boxes - Dimensions: 20 x 20 x 16 Use the large size for packing lighter, bulkier items, such as towels, bedding, cushions, or clothing.